Four people are dead, including the suspect, in a shooting at Fifth Third Bank in downtown Cincinnati Thursday morning. Cincinnati Police Chief Eliot Isaac says two other victims were injured. One is in critical condition and one is serious. Chief Isaac says the suspect was engaged by several officers. He did not get to the upper floors of the bank building. No word about the suspect's identity or a motive at this time. The first call came in around 9:15 a.m. Shots were fired in the lobby and loading dock. 5th and 6th streets remain closed between Race and Main. People are also being asked to continue to avoid the area around Fountain Square. Update, 4:45: The gunman who opened fire Thursday at Fifth Third Center was Omar Santa Perez, his family confirmed to The Enquirer. Cincinnati police confirmed the identity of the shooter during a news conference. Cincinnati Police Chief Eliot Isaac said investigators have not established a motive, but they are confident Perez acted alone. He said Perez has lived in the Cincinnati area since at least 2015. "This is a horrific incident," Isaac said. "We're looking for any evidence that will provide greater insight into the motive." 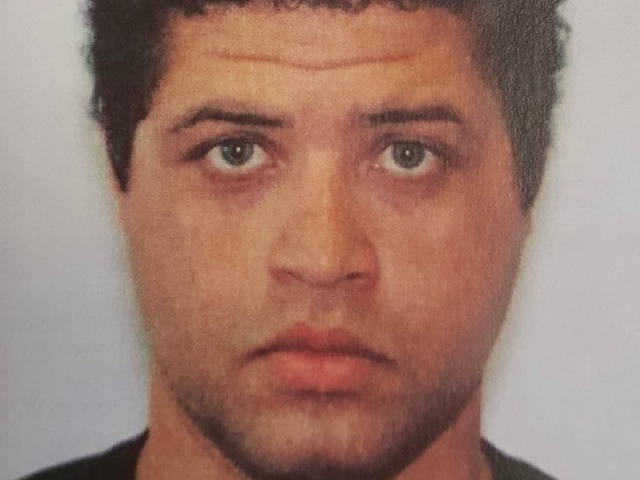 CINCINNATI -- Cincinnati police on Thursday afternoon identified the gunman behind a deadly shooting at Fifth Third Center as 29-year-old Omar Enrique Santa-Perez of North Bend, Ohio. According to Police Chief Eliot Isaac, police began to receive calls about a shooter inside the Fountain Square landmark around 9:11 a.m. Perez shot five people, killing one on-scene and fatally wounding two others, before a group of four Cincinnati officers shot him "multiple times," Isaac said. While Santa-Perez's surviving victims were rushed to the University of Cincinnati Medical Center, police determined he had been killed in the exchange of fire. (Besides the guy from India) The other two victims were identified as Luis Felipe Calderón, 48, a bank employee, and Richard Newcomer, 64, a contractor who worked for Gilbane Building Company. One of the people wounded was in fair condition Friday and another patient was in serious condition at University of Cincinnati Medical Center. A woman who was shot at least 12 times in last Thursday's deadly shooting at a bank in downtown Cincinnati said she was grateful to go home to her two children, but mourning those who were killed. Whitney Austin, 37, was discharged Tuesday from UC Medical Center five days after suspected gunman Omar Enrique Santa Perez opened fire inside the Fifth Third Bancorp headquarters, killing three people and wounding two others before he was fatally shot by police.